This a guide and tutorial on how you can unlock your Samsung Captivate Glide SGH-i927, also known as the Galaxy S Slide, or the Samsung I927 Galaxy S II to any GSM network. The Samsung i927 Captivate Glide is now available for At&t and other other networks. The Captivate Glide features a dual-core 1 GHz NVIDIA Tegra 2. The Screen has a 4-inch Super AMOLED display packs 480×800 pixels. 3.5mm headphone jack and microUSB charging port. The Captivate Glide also features an enhanced speed with 1GHz dual-core processor and 4G Network. Also available with the Google Experience with Android 2.3, Gingerbread. Additional, there is an 8MP camera with video recording, and front-facing camera for video chat is a great addition. Cellunlocker.net is proud to announce we unlock the new Captivate Glide i927 Fast and easy. Once your i927 Glide is unlocked, it is permanently unlocked even after upgrading the firmware. Simply enter the 8 digit unlock code provided by Cellunlocker.net to unlock it. 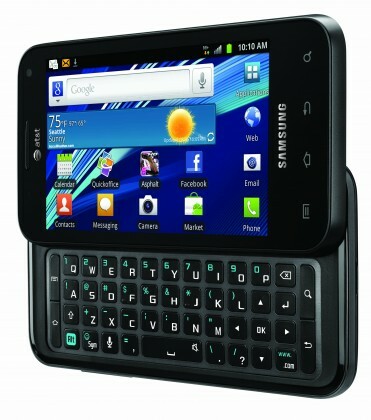 You can get the unlock code HERE UNLOCK MY SAMSUNG CAPTIVATE GLIDE SGH-I927 NOW! 2. Detailed unlocking instructions and guide on how to unlock your Samsung Captivate Glide i927 with an unlock code. Unlocking your Captive Glide by Samsung has never been Easier! * The resell value of the Captive Glide 4g will increase significantly as it is available to more carriers. * There is absolutely no risk of damaging your Glide 4g by unlocking it. UNLOCK MY SAMSUNG CAPTIVATE GLIDE SGH-I927 NOW!